New findings suggest that if more individuals would receive the flu shot, more influenza pneumonia cases and hospitalization could be prevented. The findings came from the Vanderbilt University Medical Center. The recommendations from the Centers for Disease Control and Prevention (CDC) are that anyone over the age of six months should be receiving the flu shot. Data was used from the Etiology of Pneumonia in the Community study. It contained information of hospitalizations due to influenza pneumonia. The study used 2,767 patients over the age of six month. Close to six percent of these patients had confirmed influenza and a remaining 94 percent did not have the flu. Data showed that 29 percent of those without influenza had the current flu shot, and 17 percent of those with influenza had the flu shot. Effectiveness of the flu shot in preventing influenza pneumonia was shown to be less in the elderly and those with immunosuppressive conditions. 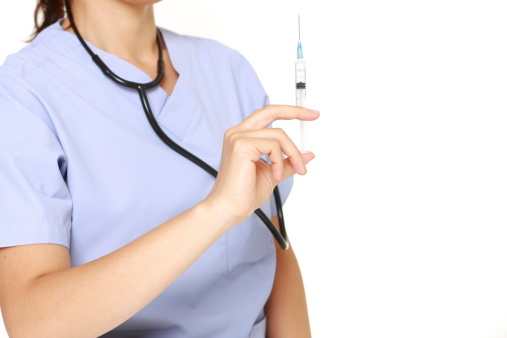 To combat this a higher-dose flu shot may be more effective in the elderly but has yet to be studied in those with immunosuppressive conditions. Also, read Bel Marra Healths article on Is pneumonia contagious?